We’ve reached mid-July when we get a short three week hiatus from major (or minor) coin shows, and finally get the opportunity to catch up with all the coins that we’ve been processing in recent months. In fact, we have a record number of coins that we have completed imaging, but have yet to make it to the website. The coming weeks should be an exciting time for collectors that take the time to view all our offerings as there will be coins for every type of collector. The overall news in the coin market is rather quiet at this time as most dealers prepare for the annual ANA World’s Fair of Money Show, hosted in Denver, Colorado this year. While we prepare for a visit to the Mile High City in August, we’ll keep plugging away at new offerings in the office and hope that we have something of interest for you. We hope that your summer is going well, and we look forward to hearing from you in the coming weeks if we can be of assistance! Why we love it: This fantastic registry-quality Proof Morgan exudes gorgeous black and white mirrors with an amazing overall look. It’s a no-brainer for the advanced Proof Morgan collector. 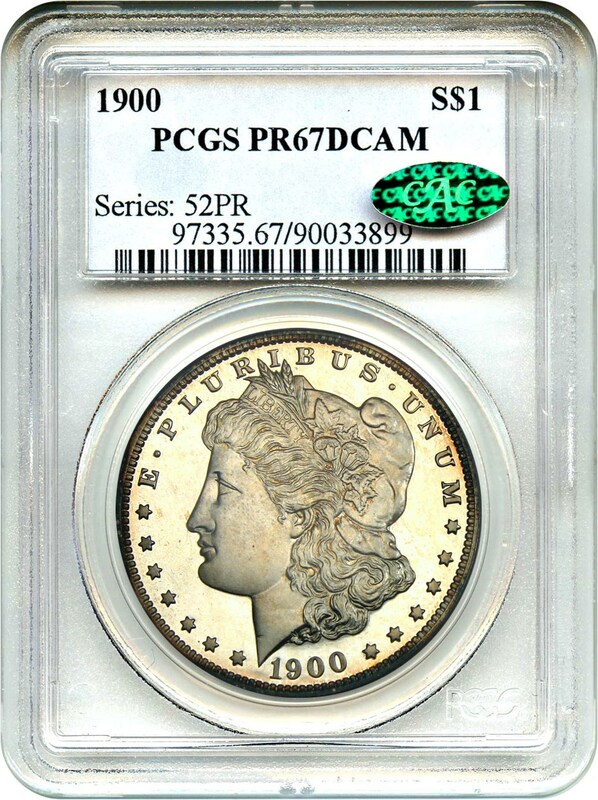 There are two pieces graded Proof 68 Deep Cameo by PCGS, but both examples are held by a collector and have been pursued for a price of over $100,000 for the pair. Value: This coin was last offered in auction in 2011 and 2006 before that. The PCGS Price Guide lists the coin at $32,500; however, that is less than it has sold for publicly and a similar piece could not be acquired for such a price. Available at a discounted price of $40,000 via Make Offer, it is a gorgeous condition rarity that is not likely to be bested. Why we love it: The 1921-S is the rarest mint state issue in the Walking Liberty Half Dollar series and is our favorite date in the series. Incredibly difficult in MS65 grades, the piece typically comes with a bit of strike weakness. This example is quite nice quality-wise with a slight separation between the thumb and the hand of Liberty. As designated by CAC, it is high end for the grade and certainly above the majority of its peers as far as eye appeal goes! Value: The PCGS Price Guide reflects a value of $50,000 with the CPG sitting at $53,200. CAC’d examples seldom enter the marketplace and in higher grades, the price more than doubles to a six-figure price level. Reserved for just $48,000, this CWL special is a fantastic offering for a key date or Walking Liberty Half Dollar collection. Why we love it: The 1889-CC is the rarest of the popular Carson City Morgan issues and is one of the key dates in the overall series. Scarce in all mint state grades, it is downright rare in MS64 and higher. This is the first example in this grade that we’ve offered in two decades. 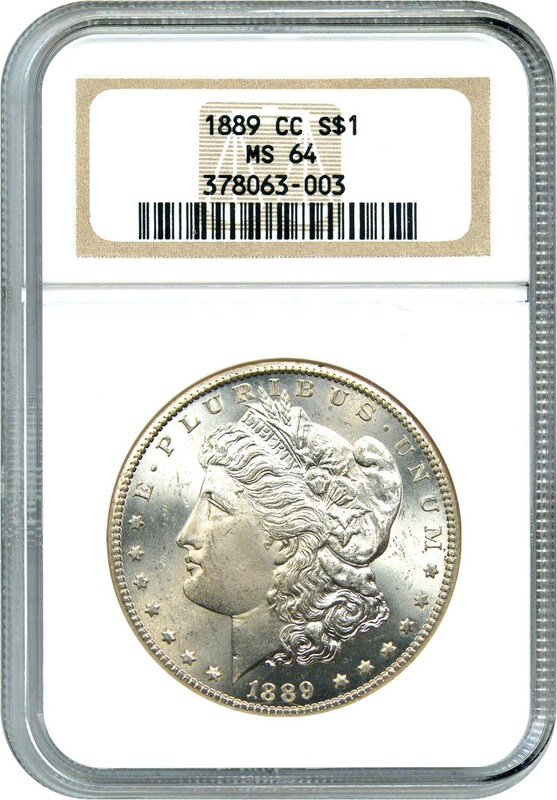 While not completely blast white, this original near-gem is a special piece for the most advanced Morgan Dollar collector. Value: The Greysheet Bid price is set at $75,000 with the PCGS Price Guide at $85,000 and the CPG at $93,800. 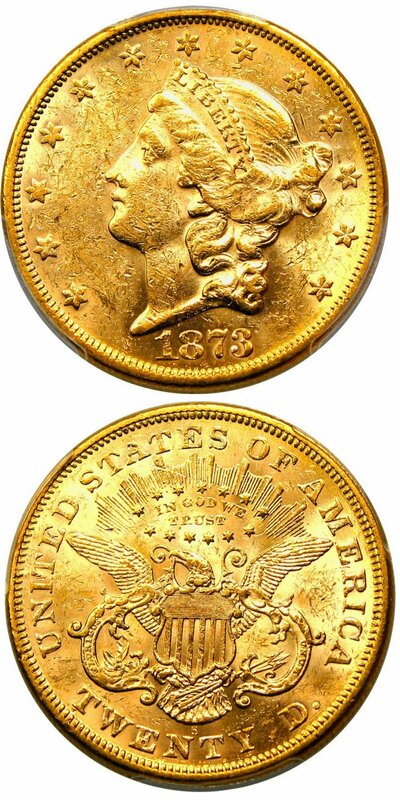 In a higher grade, the coin enters the rarified air of being worth over $250,000. Reserved in this week’s auction for $72,500, this special date is not likely to be offered again soon. Why we love it: The 1916-D Dime is one of the most popular 20th Century “rarities” that extends even beyond numismatic circles. 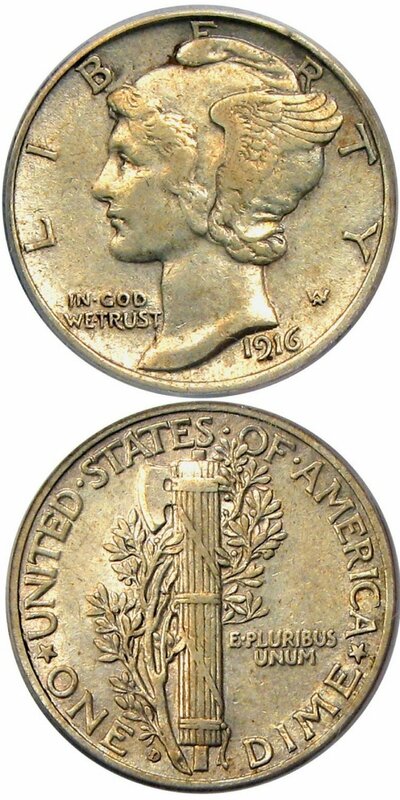 As many young collectors from the 1930s-1960s put together sets of Mercury Dimes, the 1916-D was often the lone missing piece that could not be found in circulation. The mintage of 264,000 pieces made the coin a very tough issue to find, but it may not exactly be considered a true “rarity.” Nonetheless, it’s one of our favorite dates that we try to acquire if possible due to its overall popularity in American numismatics. Value: Similarly graded pieces have been bringing more than $8,000 when they are of at least average quality. With the Collector’s Price Guide value of $7,800 in AU50, we are very comfortable with our special price this week of $7,500 via Make Offer. When considered that the PCGS Price Guide sits at $8,500, we expect this piece to find a new home soon. 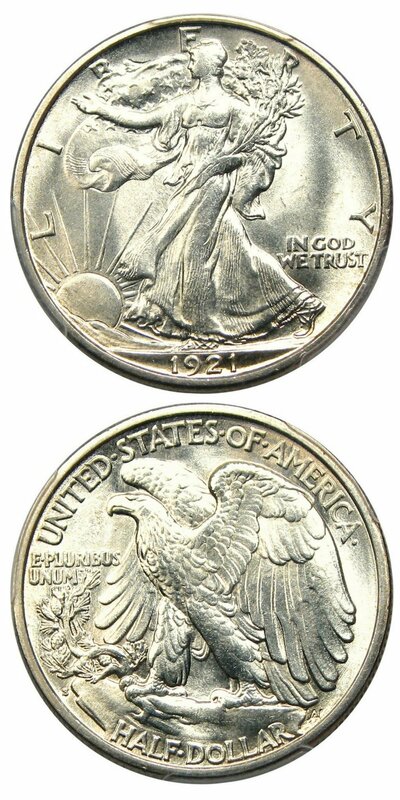 Why we love it: The 1920 Double Eagle was the first issue of the series since 1916. Despite the lower mintage of just over 228,000 pieces, it is rather common in MS63 and slightly better in MS64. 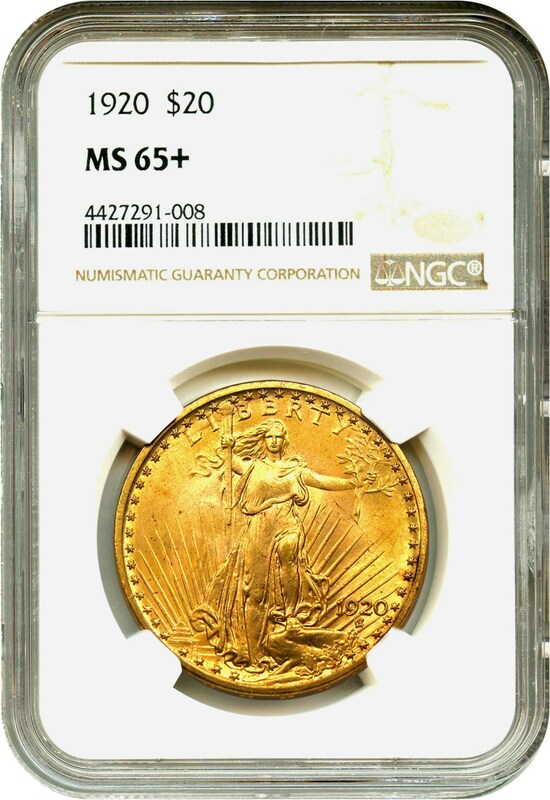 However, in the higher gem state of MS65, it is quite rare, with only eight pieces graded by PCGS and NGC combined. This is the lone example that is graded finer as an MS65+. As the finest known example, it is fresh to the market and in our estimation, it is clearly nicer than the comparable MS65 pieces that have auctioned in the last ten years. Value: As an MS65 has not been offered publicly in 2012, price comparisons are quite difficult. When compared to other finest known rarities in the series, we think that this coin is a great deal for the advanced collector/investor at our discounted rate of $107,500 via Make Offer. 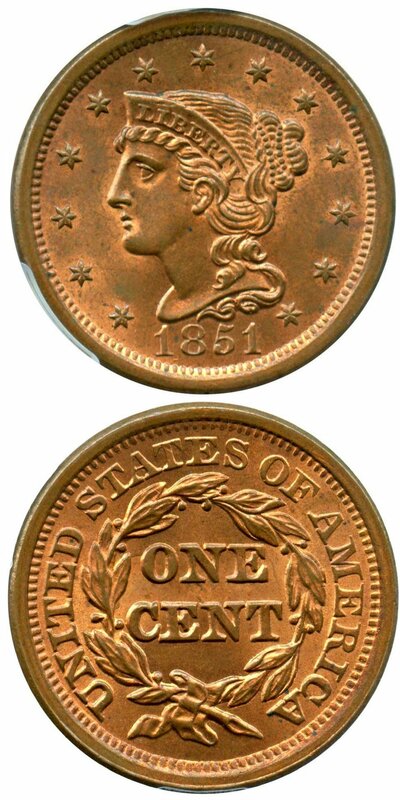 Why we love it: Unfortunately, it is unknown what the overall mintage of the Open 3 pieces from the San Francisco mint in 1873 may be, but far fewer Open 3 coins were produced compared to the Closed 3 variety. As the dies were changed to prevent the “3” from looking like an 8, the new manufacturing elements did not reach the west coast mint until late in the production year and thus far fewer Open 3 examples were produced. Of the pieces that were made, there were very few survivors that remain in higher grades. In fact, only nine examples are graded finer (all MS 62s) by PCGS. Value: The cheapest recent sale comes in at $11,750 in 2016, with most average pieces bringing between $14,000-$16,000 in auction. This lustrous example is on par with these issues, but is being offered with a reasonable reserve of just $12,000 in this week’s auction. With a Greysheet bid value of $12,670, PCGS Price Guide of $16,500, and a CPG price of $15,000, this is an excellent deal on all accounts. Why we love it: This deal of 62 pieces walked into Gary’s office in Minnesota a few weeks ago. While it’s not something that we see frequently, we thought the group was interesting enough to feature in a CWL at a nicely discounted price. Value: With the price of gold down a bit the past few weeks, we like the fact that these high-grade bullion items from the post-World War I era can be had for a very small sum! In fact, the premium over the bullion price doesn’t even cover the grading fees! 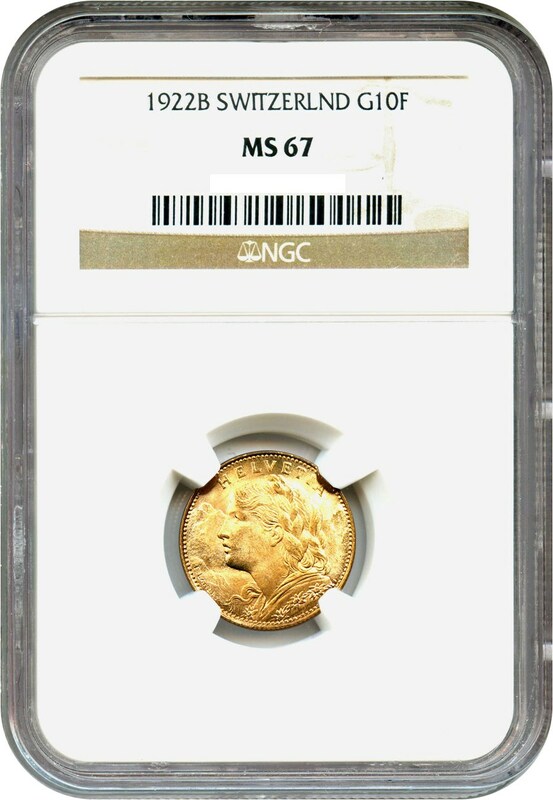 The NGC Price Guide lists these pieces in MS63 grade for a price of $195. While not exactly rare, these superb gem examples are available for a discounted rate of just $155 via Make Offer. Value: Only a single issue (MS66+RB) has been graded finer by PCGS and their Price Guide lists the price of this date and grade at $2,600. While similar pieces have sold for in advance of $2,450, we have listed this piece for $2,200, with a further discount of $2,000 via Make Offer in this week’s CWL. Auction #971 Posted. Browse & Bid on Lots Today! Auction #970 Lots Posted. Browse & Bid Today!